As in years past, it’s my pleasure to show you some of the beautiful things I’ve found online. If you’re looking for a present at this or any time of year, here are my recommendations. Part one of this gift guide is here. 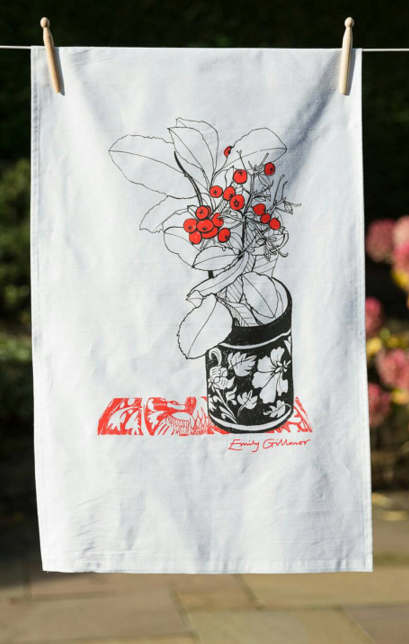 These tea towels by Emily Gillmor (UK-based printmaker) are so beautiful. A pack of two is about $15 + shipping. I like her prints of farm equipment as well (significantly more expensive, as you would expect). I’ve been impressed by lots of printmakers I’ve seen coming out of the UK recently. I like the tendencies toward roughness, imperfection (in a medium that can sometimes seem fussy and precious) in much of the recent work I’ve seen. One printmaker whose work I really love is Matt Underwood. His images remind me of early-twentieth-century matchbox illustrations, and sometimes of midcentury naive relief prints from Japan. On a completely other note, maybe you want something beautiful but of amorphous use-value for someone this year. 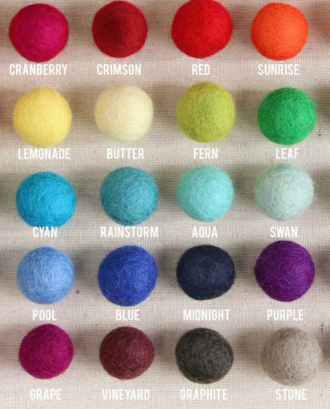 Well, this set of multicolored wool felt balls (tiny!) might be the thing. I’ve seen garlands made of these that are quite pretty. If you’re looking for a book, let me recommend The Future is not Ours, an anthology of Latin American writers born between 1970 and 1980. This looks great, and is already on my wish-list. I’m also looking forward to reading Negroland, a memoir by Margo Jefferson, The Voyage of the Sable Venus (poems), by Robin Coste Lewis, and Forest Primeval (poems), by Vievee Francis. I can also wholeheartedly recommend Miracle Apples, a beautiful movie I saw last year about an apple farmer in Japan struggling with the difficulties of organic farming (it’s probably more charming than it sounds). I’m really drawn to this coat/dress/? by MaLieb. 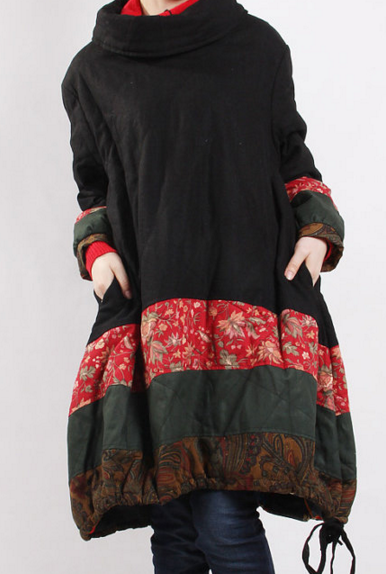 It looks warm, the colors and pattern combinations feel wintry and unusual, and I like the drawstring hem. It’s €125, but for a handmade garment that seems reasonable, especially if the wearer would…um, wear it quite a lot. And while I’m on the topic of clothing, Scarf Shop makes the most beautiful scarves (Martha gave me a perfect pink one two summers ago which I reserve for special occasions).